We recently had a user write in who wanted to share a tip about how to handle a common accessibility problem when embedding Twitter: Minimum Color Contrast. 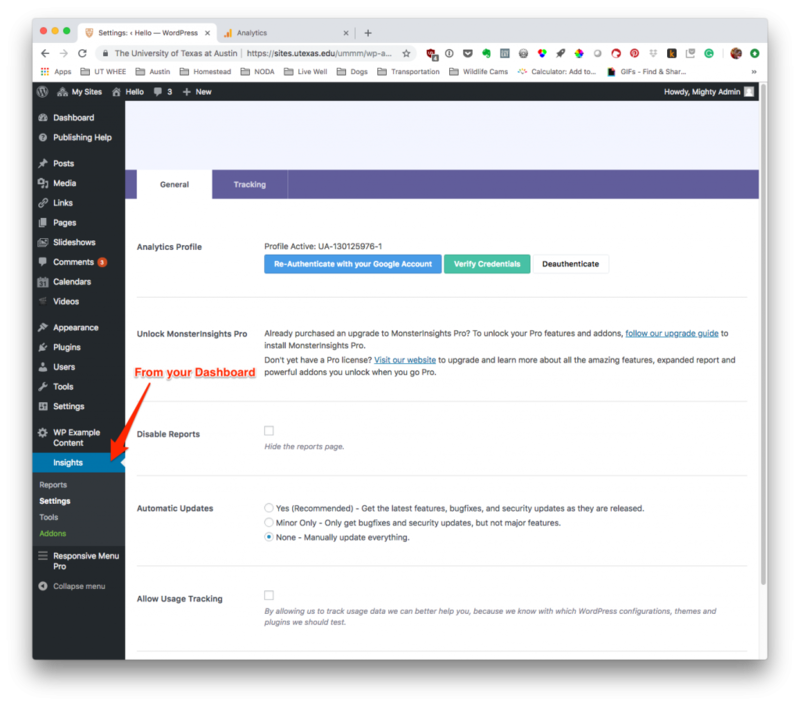 I have been working to increase our accessibility scores and was able to improve the Twitter color contrast on our other sites by visiting the “set customization options” at https://publish.twitter.com/# where you can choose a higher contrast color for links. 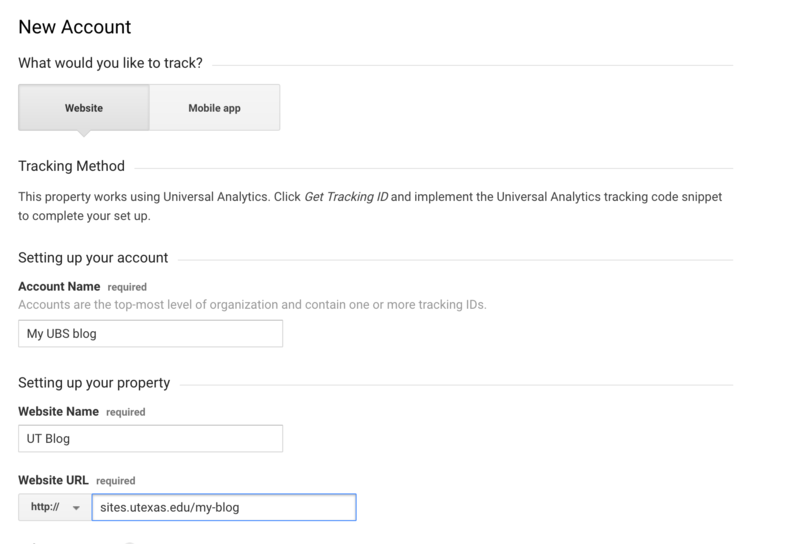 The good news is that you can do this on UBS using WordPress oEmbeds! oEmbeds are a set of powerful features that allow you to integrates 3rd party sources into your site without the need for a plugin. One such oEmbed for Twitter which allows you to embed Tweets, profiles, lists, collections, likes, or Moments. In this post, we’ll look on how to embed Twitter into your pages, posts, and widgets. Then we’ll look into different approaches to how to check for color contrast. Step one: Which Twitter Account do you want to use? Step two: Where do you want to embed it? Create or edit a post or page and ensure that the editor is in the “Visual” mode. Then paste the Twitter URL onto a line all by itself. You’ll know it’s working because the Twitter feed will “pop” in automatically. Now, how do you address color contrast issues that come up? This is the tricky part as you’ll need to know what color scheme you’re using, and trying a few things to determine what works with your design AND is color accessible. Twitter gives you the option of light and dark backgrounds, in addition to the option to to enter your own color codes for links. There are a number of tools out there to help with this decision. One tool that I like is contrast ratio. This will be a little different from the steps that we outlined previously as we won’t rely on the Twitter oEmbed. 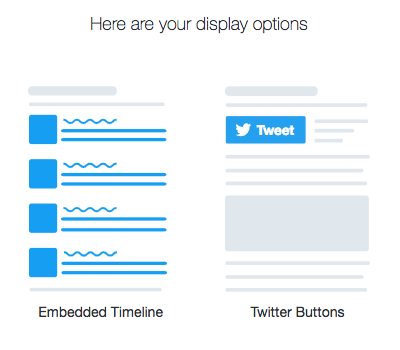 Once you have selected your color codes on the Twitter Publishing page, click on “Update”. You’ll be prompted with an embed code. Copy this embed code and go back to the page or post where you are posting your Twitter feed. Be sure you’re in “Visual” mode in the editor and paste that code. Once you publish you’ll be able to view your embed just like when using oEmbeds! Accessibility is a large and encompassing topic that covers a large range of issues but taking it one step at a time can take you a long way in ensuring your website is accessible! 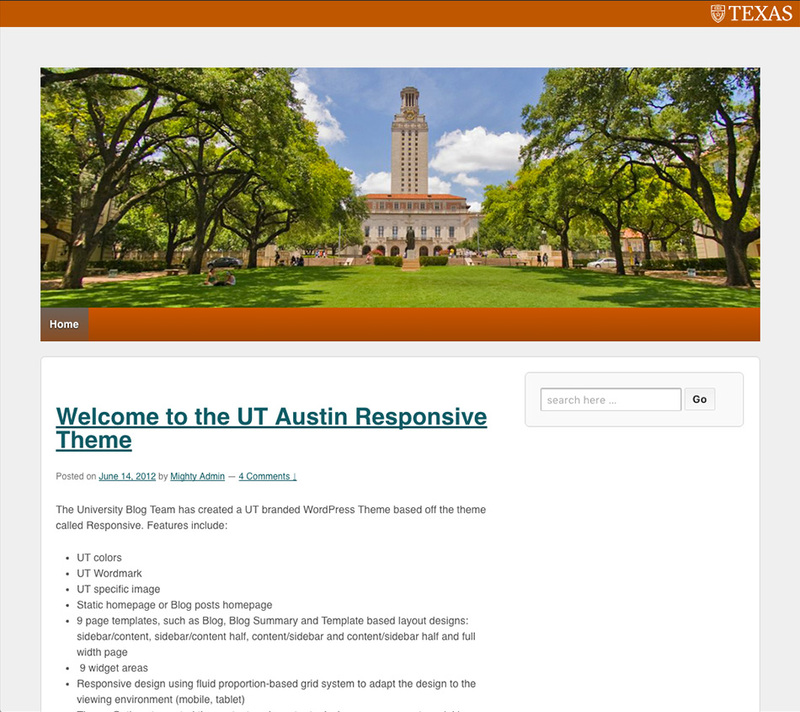 In August 2014, the University Blogs Service transitioned away from blogs.utexas.edu to sites.utexas.edu as the service’s primary domain. Currently, this domain is being hosted on the UBS server alongside sites.utexas.edu where all visitors of blogs.utexas.edu are being redirected to sites.utexas.edu. 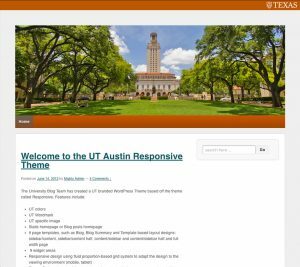 First, anyone visiting a “blogs.utexas.edu” URL will no longer be redirected along to sites.utexas.edu but to a page advising of this change. The purpose of this is to give visitors the opportunity to update their applications that rely on the old domain to use sites.utexas.edu instead. 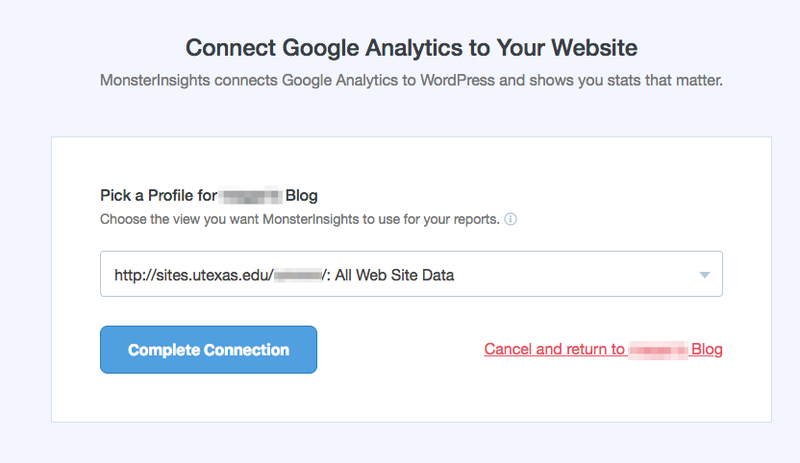 The final step will be to instruct UTNIC to remove the DNS entry for blogs.utexas.edu after which point the domain will be retired and visitors will no longer reach the service. These changes will occur first on June 30th, 2016 after 5:00 PM. The final “remove” step will occur on August 19th, 2016 by the day on September 15th, 2016. 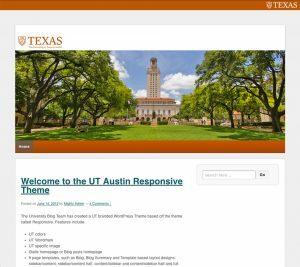 Be sure to review any bookmarks, podcatchers, RSS feed readers, or any application that relies in some way on blogs.utexas.edu will no longer work. 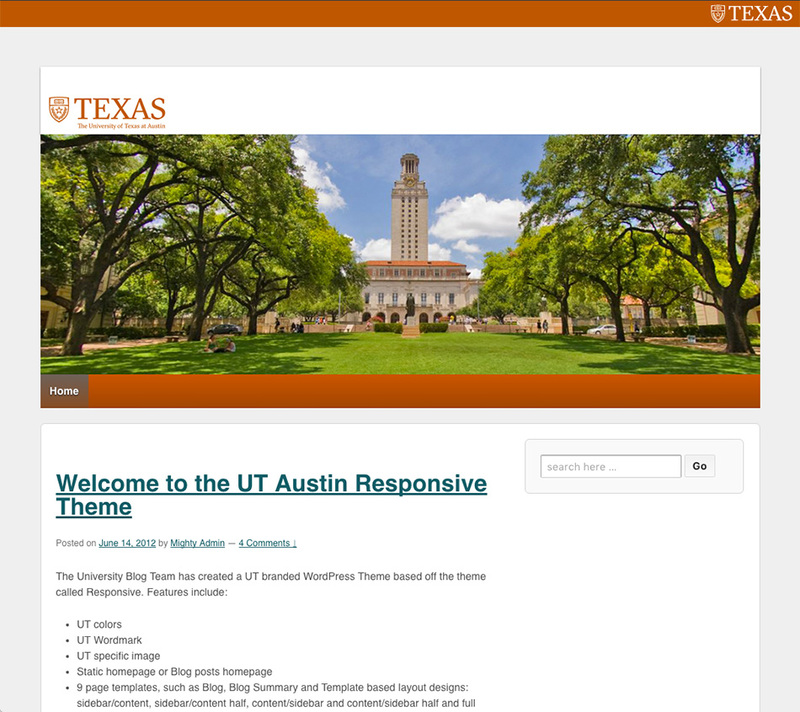 Your websites and content will still exist but will require that it be accessed with sites.utexas.edu. We certainly do appreciate your patience and understanding during these changes. EDIT: Updated “remove” date to September 15th, 2016. There’s a new plugin on the block: WooSlider. Activate the plugin and you’re on your way to making a slideshow in minutes. WooSlider is an easy to use, highly customizable slideshow plugin. You can create slideshows of images or of blog posts. WooSlider is fully responsive which means your content will look great, regardless of the device it is viewed on. 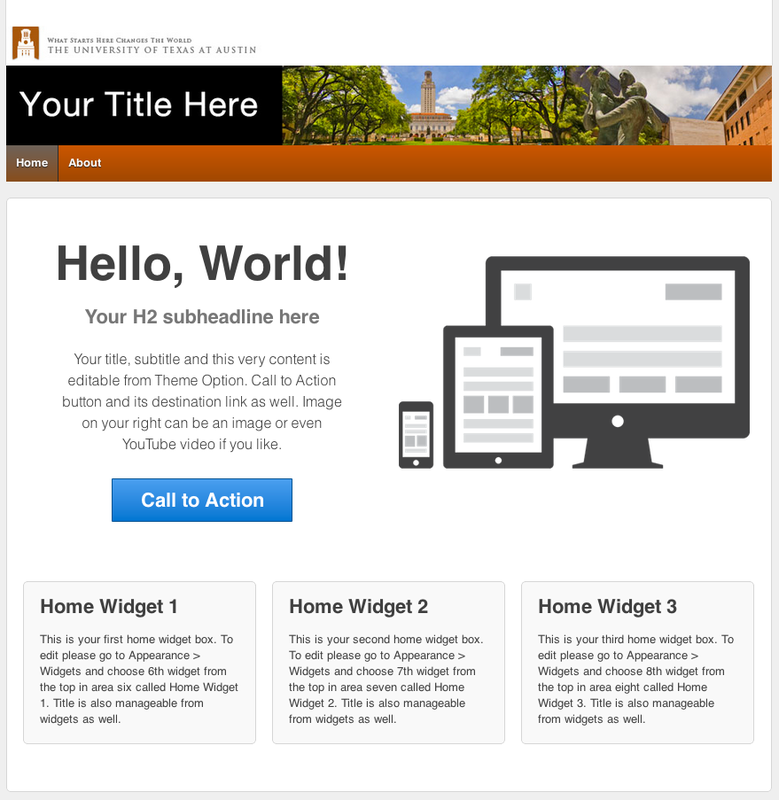 [wooslider slide_page=”example” slider_type=”slides”] How do I use it in my blog? 3. 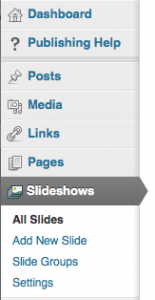 Put slides into slideshow groups just as you would categorize blog posts. 4. To insert slideshows into a post, Go to > Slideshows > Slideshow Type. 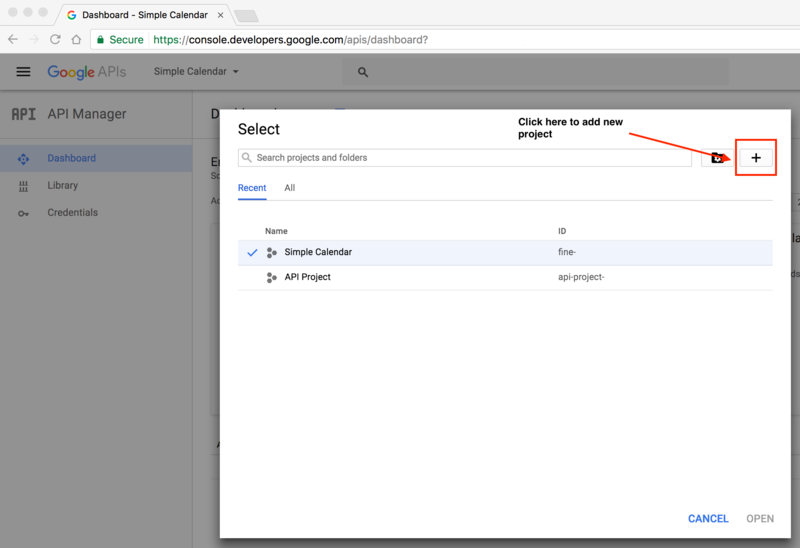 Here you have the option to create a slideshow from already attached images, from previous blog posts, or from the slideshow group you just created. 5. Customize the slider in the button on the same screen. 6. Click the button and some code will be inserted into your post. You now have a slideshow. Are you curious about what search terms lead people to your blog? 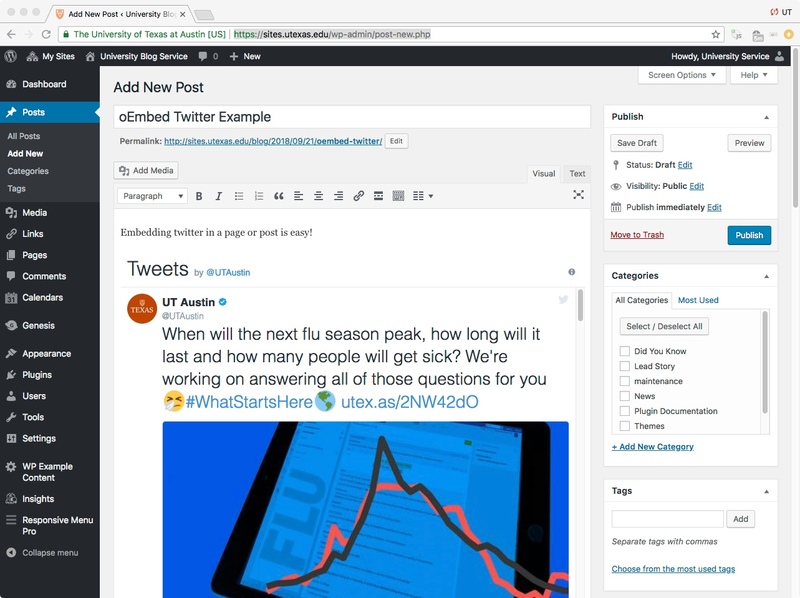 Want to know hits, page views and popular pages for your blog? Just activate the FireStats plug-in. How Do I Activate the FireStats plug-in for my Blog? From the Dashboard page, click the Plugin link. Then, click the Activate link for the FireStats plug-in. You then can view traffic statistics from the Dashboard page by clicking FireStats below the Dashboard icon in the upper left corner. During the 12/16/2009 WPMU upgrade on sites.utexas.edu, the FireStats plug-in may have been deactivated on some blogs. Please take the time to reactivate this plug-in if you are interested in these statistics.